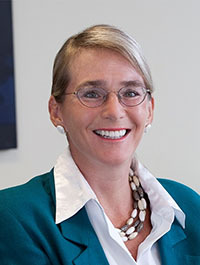 Colleen M. Quinn, partner in Locke & Quinn in Richmond, has been named the 2015 recipient of the Family Law Service Award presented by the Virginia State Bar’s Family Law Section. The award recognizes people and organizations that have improved family, domestic relations, or juvenile law in Virginia. It is to be presented April 23 at the section’s Annual Advanced Family Law Seminar at the Jefferson Hotel in Richmond. Quinn founded the Adoption and Surrogacy Law Center as a resource for people navigating their options for creating a family. She is a fellow on the board of the American Academy of Adoption Attorneys and the American Academy of Assisted Reproduction Technology Attorneys. She is also the co-author of the fifth edition of the Virginia CLE Adoption Procedures and Forms book. She is a member of the American Association for Justice, the Virginia Trial Lawyers Association, the Richmond Bar Association, the Metropolitan Richmond Women’s Bar Association, the Richmond Women’s Business Consortium, and the National Association of Women Business Owners. She also is an active community volunteer and has provided domestic violence training and education to various organizations. Through internships at her firm, she mentors students at the law schools of William and Mary, the University of Virginia, the University of Richmond, and Howard University, and at the J. Sargeant Reynolds Paralegal Studies Program. She also volunteers at the YMCA and at her church. Quinn is a graduate of the College of William and Mary and has her law degree from the University of Virginia School of Law.